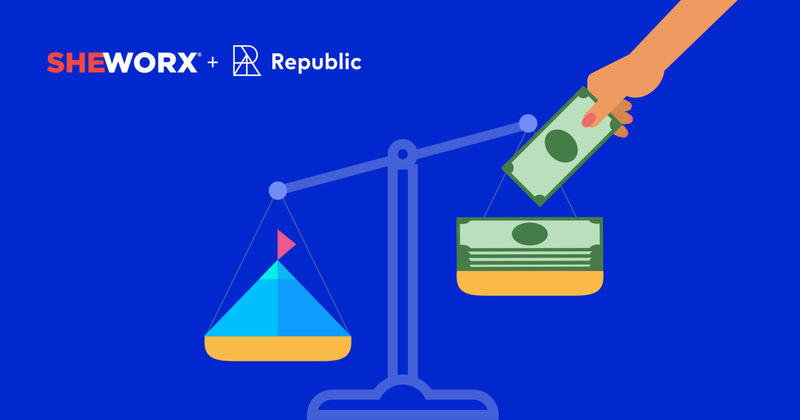 This webinar is brought to you by Republic and SheWorx. SheWorx is a leading global platform and event series empowering 20,000+ female entrepreneurs to build and scale successful companies. SheWorx arose from a profound need to empower women in a 94% male dominated investment landscape. We’re co-hosting "Women & Investing: Practical Tips for Evaluating Startups". In this webinar, we’ll provide an overview of angel investing, including what makes a great angel investor, what to look for in the due diligence process, and detailed case studies and analysis of real-life startups. We’re excited for you to join us, and feel free to share with friends!